Who better to watch over you while you prepare for Christmas than a group of watchful snowmen? These little guys will put a smile on your face and a holiday spirit in your heart. Why not put them in a potted plant for a Christmas gift? 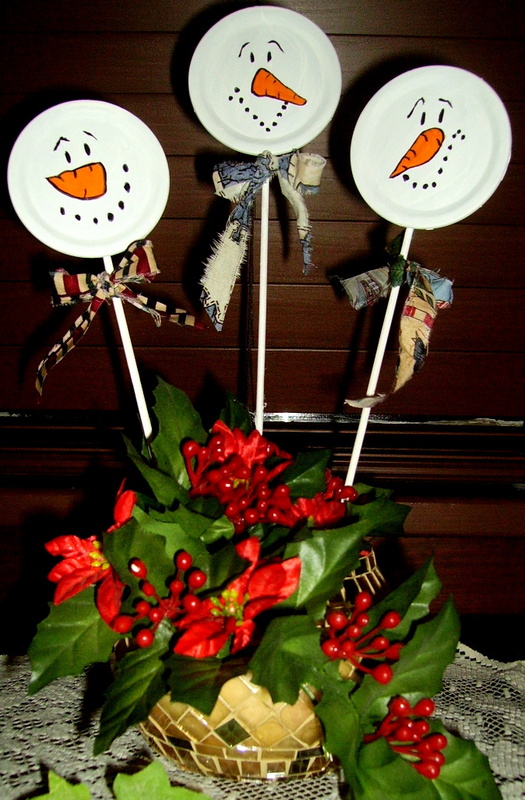 Find the directions for these little cuties, “Snowmen Sentinel,” in the Christmas Projects Gallery in the sidebar. For a closer look, click on the picture at left. This entry was posted in Categories, Christmas Projects and tagged christmas crafts, christmas crafts for kids, easy Christmas decorations, easy crafts for kids, jar flats, snowman plant picks, snowmen, snowmen sentinel. Bookmark the permalink.